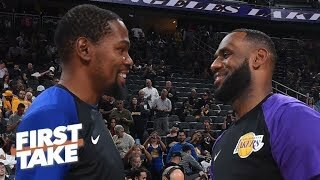 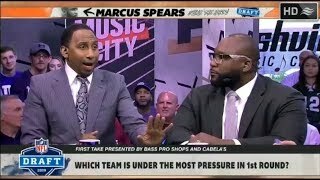 ESPN FIRST TAKE | [SPOTLIGHT] Which team is under the most pressure in 1st round? 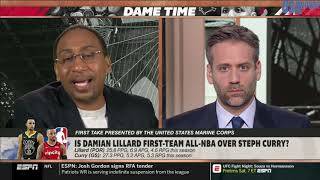 ESPN FIRST TAKE | 2019 NFL Draft: Which team is under the most pressure in 1st Round? 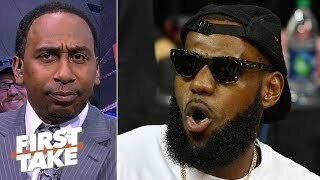 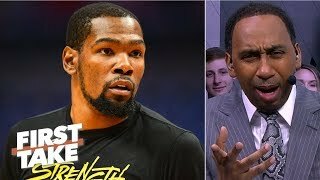 ESPN FIRST TAKE | Stephen A. Smith DEBATE: Rockets chances improved after last night? 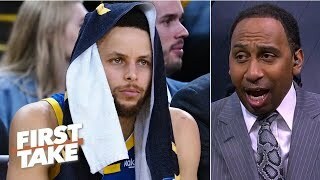 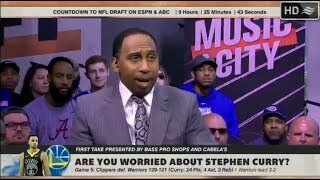 ESPN FIRST TAKE | Curry: 24 Pts in Warriors loss to Clippers; Are you worried about Stephen Curry? 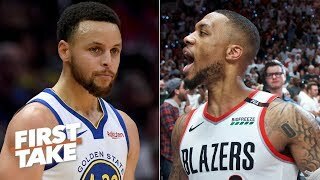 First Take | Does Damian Lillard deserve First-Team All-NBA over Stephen Curry?